We managed to give food to all serving in priority children and old persons. Yesterday also 104 (Police Service for Children at risk) requested for relief materials. 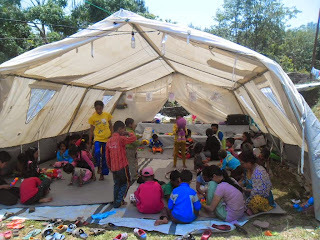 We provide them 1 Tarpaulins, 3 carton noodles and medicine for first aid. CPCS has an excellent relation with that police service, helping children in difficult situation.